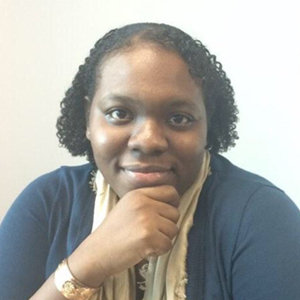 Dr. Shearon Roberts is an assistant professor of Mass Communication at Xavier University of Louisiana in New Orleans. She teaches the Converged Media writing sequence, Digital Storytelling, Social Media, Multimedia Production and courses in Latin America and the Caribbean and the African Diaspora. She researches journalism practices in the Caribbean, Caribbean media systems, and Caribbean media discourse. She leads trips to the Caribbean with her students to Haiti, the Dominican Republic, Cuba, and the English-speaking Caribbean. In 2018, she was awarded First Place in the Association for Education in Journalism and Mass Communication International Communication Division’s Teaching Contest for her work in educating African American students about journalism and media, through travel to the region. Her primary research focuses on media in Haiti after the 2010 earthquake, and she has published her scholarship on contemporary journalism in the Caribbean in peer-reviewed journals. She also publishes scholarship on media representations of race and gender, and co-authored a book on journalism practices immediately after Hurricane Katrina, and was the co-editor of a volume on mediated discourse about New Orleans. Shearon will be part of the research panel “Digital Media and Democracy in the Americas” on Friday, April 12, 2019 at 3:45 p.m.